Flashmobs have gone from edgy (no pants, silent dancing, zombies) to just plain ol' cute. Now a Facebook group (along with Twitter hashtag #MetroCarols) is organizing folks to go flashmob caroling, next Monday, Dec. 13... at the Chinatown Metro station. You know, a really, really busy Metro station. During rush hour. For 90 minutes. Yep, the event is scheduled from 5 to 6:30 p.m. Most flashmobs tend to be over with their mischief in only a few minutes -- will all that extended merrymaking snarl commutes? Then again, it'll take the carolers at least 60 of those 90 minutes just to navigate down one of the stalled escalators, right? We've also gotta wonder how well the grizzled, angry, freezing commuters will handle the situation. 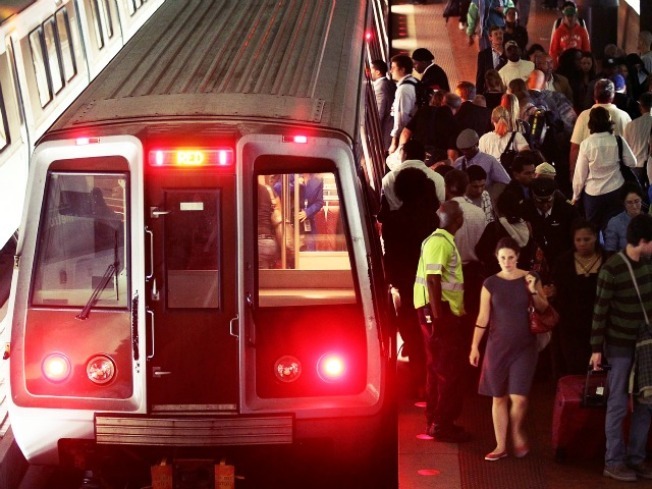 But, hey, Metro riders could probably use a little cheering up anyway. And so far, only 58 people have RSVPed for the flashmob, keeping the station freed up for the workaday hordes. Can 58 people even comprise a "mob"? We're thinking that's more like an enclave, a cluster or a fellowship. But we're not trying to dampen anyone's Christmas spirits, honest. We'll let Metro do that.